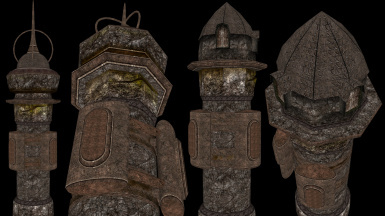 This mod replaces the 3 Dwemer Towers with 3 made from scratch meshes. Finally got around to updating these. Fixed a few issues & optimized these a bit. They are still pretty high poly but I never noticed a slow down. 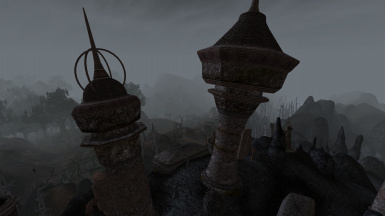 I know there are Replacement Dwemer meshes out there already & the one Champion of Hircine did is very good ... but somehow the totally round towers just look wrong to my eyes. I personally have always liked the Octagonal main parts of the ruin towers & think it was a design choice by the devs not just a resource saving device ... they could have certainly made them "rounder" even in 2002. I didn't strictly adhere to the original concept though they don't stray that much. 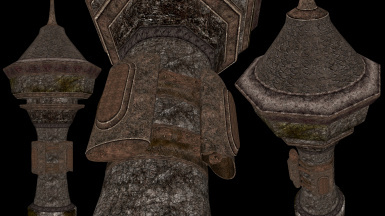 These meshes can be used in other mods but give me credit.